Astoria Office 31-19 Newtown Ave.
East Meadow Office 519 Bellmore Ave.
Holbrook Office 264 Union Ave.
We are so excited to have Dr.Justyna join us at Gorenkoff Orthodontics. 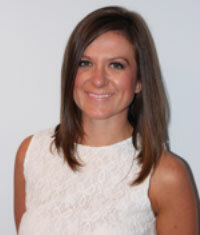 Dr. Justyna is an expert in the field of Orthodontics and Dentalfacial Orthopedics. She is a Diplomate of the American Board of Orthodontics and a clinical professor for post-graduate residents at NUMC. Dr. Justyna graduated from Stony Brook University, and received her Bachelor’s degree in Biology with a specialization in Neuroscience and a minor in Women’s Studies. She attended New York University College of Dentistry where she was inducted into the Omicron Kappa Upsilon Dental Honor Society and awarded multiple service distinctions. Dr. Justyna has a passion for giving back, and each year she participates in an international dental outreach program to provide care to the underprivileged. For the past 4 years she has participated in humanitarian projects on the islands of Grenada and Jamaica. In her free time, Dr. Justyna enjoys cooking, gardening, kickboxing and pilates. Together with her husband they enjoy hiking, boating and fishing, but mostly spending family time with their 9 nieces and nephews.